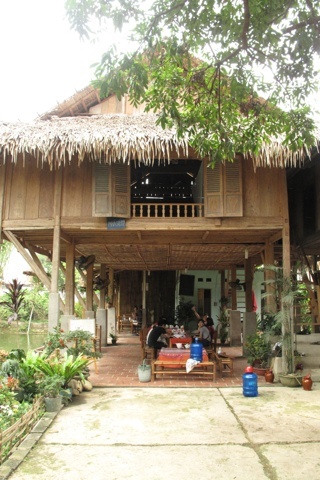 Photo: Typical Mai Chau scenery. We hummed and hawed about listing Guesthouse 32: the location, at the end of an alley, bodes well as through traffic will be light, and the pond alongside makes for a very attractive outlook, but we noticed a chicken coop out back, suggesting a risk of being woken early by cockerels. Still, given the walls of the homestays are hardly soundproof, that’s a risk wherever you stay, so we decided the pros outweighed the possible cons. The guesthouse itself is a standard affair, and is well sign-posted so easy to find. Dinner will set you back 100,000VND. Where are you planning on heading to after Mai Chau? Here are some spots commonly visited from here, or click here to see a full destination list for Vietnam.